UPDATE 7/2/19 – OPEN DESTINATIONS CEO KEVIN O’SULLIVAN JOINS ITB BERLIN BREXIT DISCUSSION PANEL. MORE INFO. 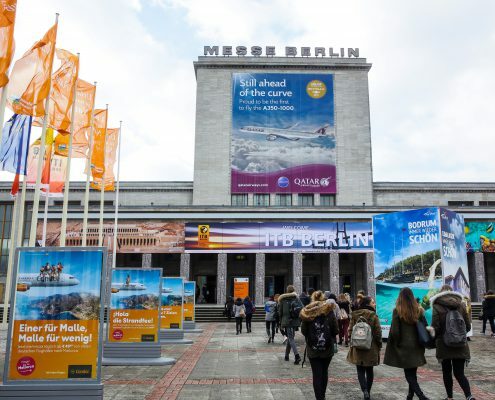 ITB Berlin, one of the travel industry’s biggest trade shows, is set to take place from March 6-10th 2019. Like at last year’s event, the Open Destinations team will be stationed in Hall 5.1 at stand 113. Check out our exhibitor profile here for more information and to access informative downloads and videos. Not got your tickets for ITB Berlin yet? Get them here. Members of our Sales, Marketing and Product teams will be on hand throughout the event to show live product demonstrations of all Open Destinations’ software product portfolio including Travel Studio, Travel Builder and Tineri App. We’ll also discuss the multitude of ways in which of specialist Travel Outsourcing service can improve the back office efficiency of travel providers. Save time & increase booking conversion with our latest innovation. Now available in Travel Studio. Avoid slow, live searches that put customers off. Drive increased conversion rates & decrease looks to book ratio. Find the optimal group size and number of departures with this must-have tool for group bookings. End of tour surveys, multiple map routes, live flight tracking, trip countdown timer & more are now live in the app. More than 180 countries are represented at ITB Berlin each year.